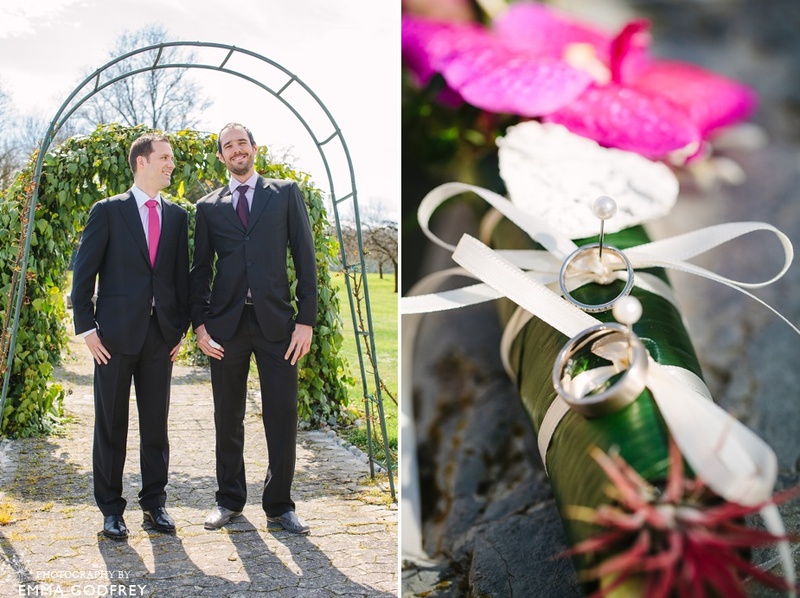 The first spring sunshine appeared just in time for Mélanie and Grégoire's wedding in Coppet. From her room at the Président Wilson hotel in Geneva we admired the ducks swimming in the pool and marvelled at the endless blue sky. 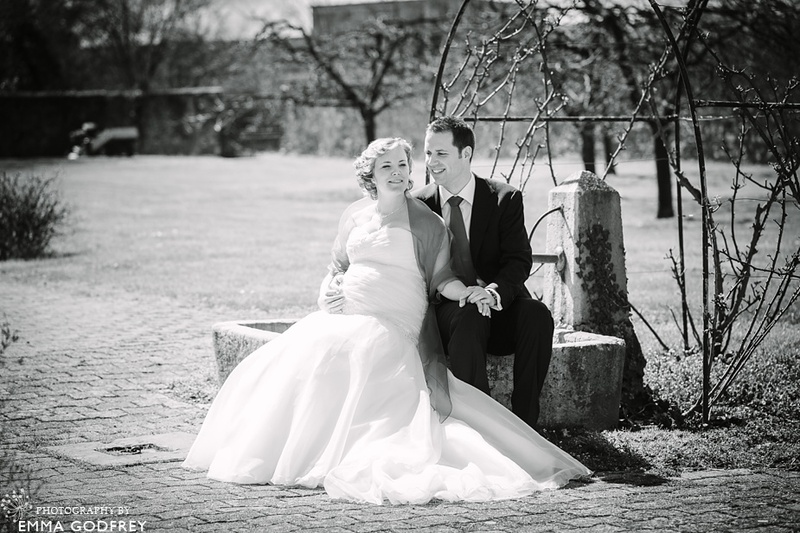 Mélanie’s dress was custom made by a specialist maternity bridal shop and she glowed beautifully in bridal and maternal bliss as Marjorie, her best friend and bridesmaid, laced her bodice. 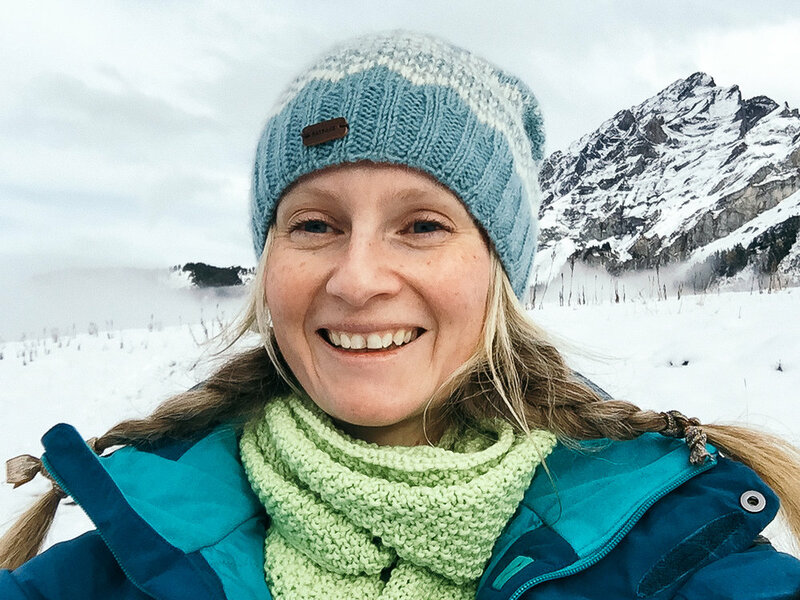 Keen to have a completely stress-free day, a must for seven months pregnant!, Grégoire and Mélanie opted to have a first look. 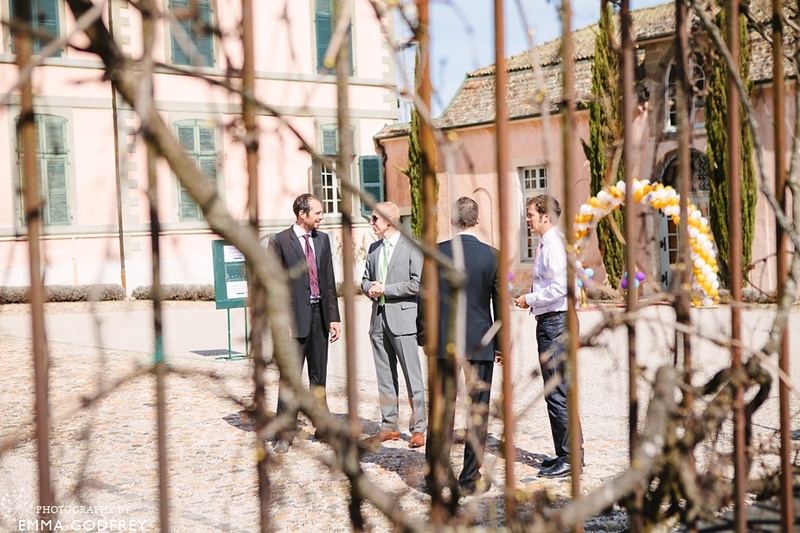 With half an hour just for the two of them, Grégoire got to see his beautiful bride in the orchard of the Château de Coppet before anyone else. An opportunity to spend some quiet time together on a very busy day, the first look also gave us the chance to get some beautiful portraits before the guests arrived. 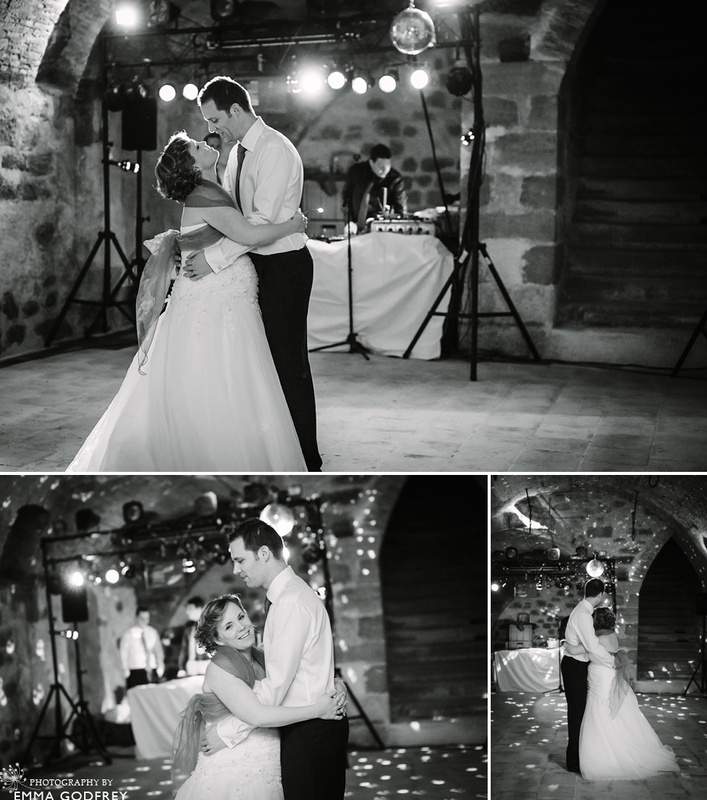 The ceremony above the old stables was filled with delicate romance and joy when the couple took their first kiss as man and wife. Exiting to a shower of bubbles, enjoyed by all ages equally, the orchard buds started to wake up and the couple enjoyed the first warmth of 2013 with an apéro with their family and friends. Their own personal organising committee arranged a wonderful game for guests to get to know one another. Having been assigned one half of a famous pair split bride / groom, couples had to find each other and then have a photo taken, resulting in some fun combinations! Although there was some debate during the toasts as to how Mélanie and Grégoire first got together there was not doubt in anyone's mind that they were meant to share their life with each other and their eagerly awaited little baby. It was an honour to share in your happy day, may there be stars in your eyes for many years to come. 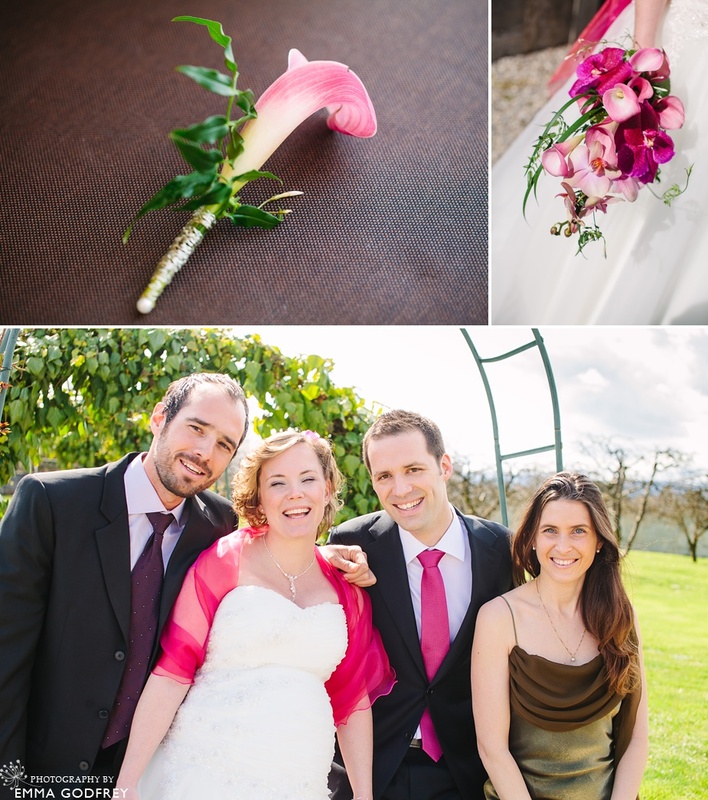 Don't miss this stunning castle wedding in Switzerland by photographer Emma Godfrey. 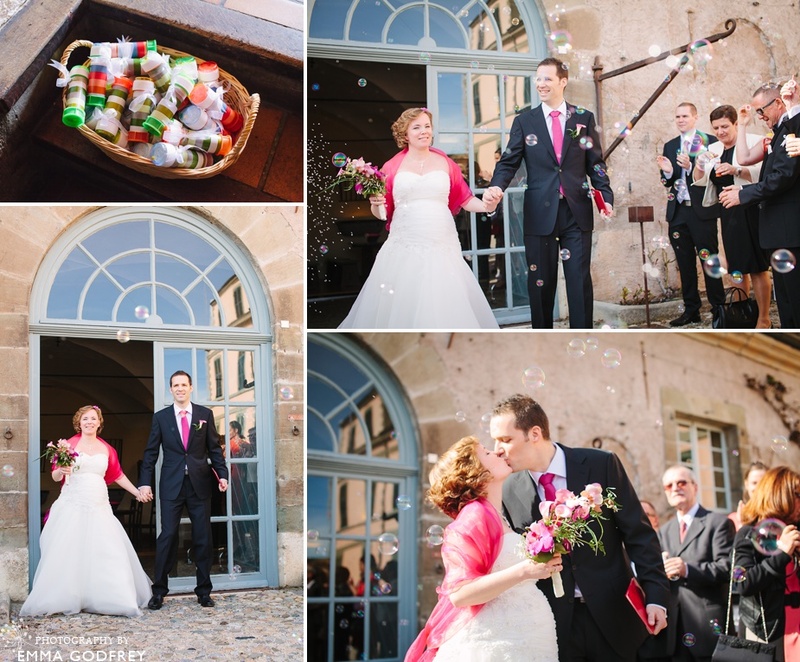 Fit for a fairytale, this intimate elopement at the Château d'Aigle is full of romance and beauty. 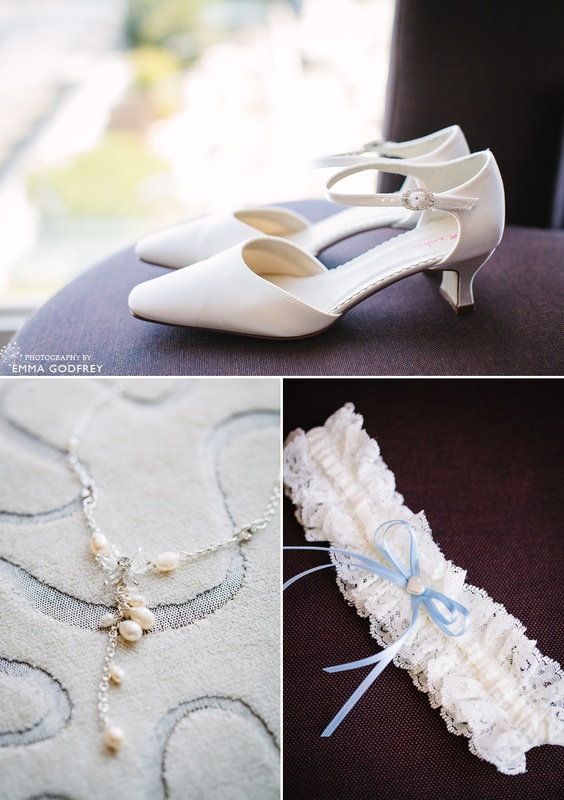 Check out this detailed bride's guide to wedding preparation photos. With inspiration to reflect your style be it classical, girl squad or boho. 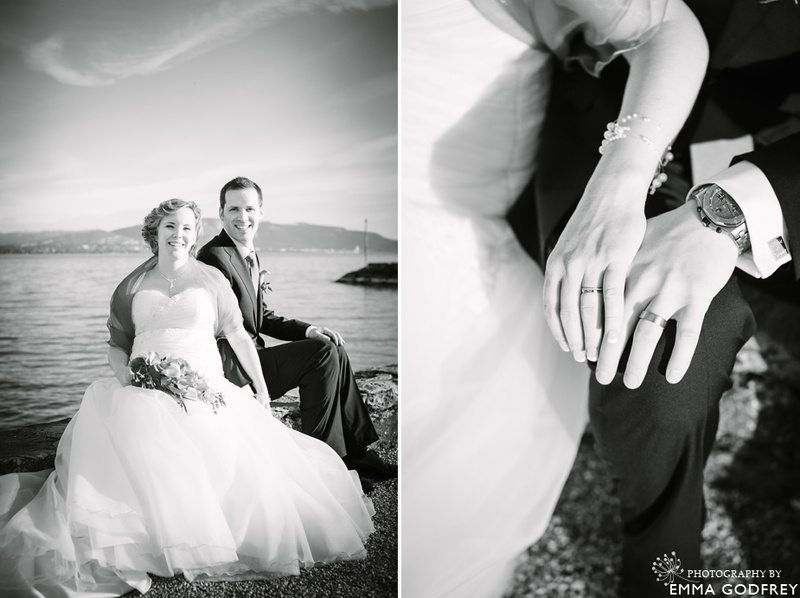 Switzerland wedding photographer Emma Godfrey is full of ideas and experience.